2.5/5Originally posted at Gypsy ReviewsI received an eARC from Bloomsbury via NetGalley. Thank you.I adore historical fiction, I have always loved history and especially the history on Britain. I admit I hastily requested The Disgrace of Kitty Grey earlier on as I saw it was one of the few YA books I could request on NetGalley so I didn’t have much of an idea what it was (the bad habits of a new blogger D; I have learnt from my mistakes!). I enjoyed the first part of the book but however as we ventured further and further, it just got so unbelievable that I just couldn’t take it seriously anymore.Kitty is a milkmaid working for a wealthy family and loves her job despite the fact that she hardly sees her family. Her sweetheart, Will, laments constantly about wanting to go to London to make his fortune and to earn enough money to marry Kitty and start a family but secretly, Kitty wants him to stay. 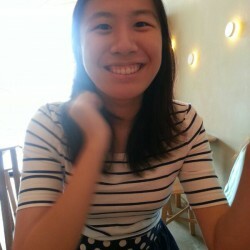 Kitty is sweet by nature, demure and polite, she causes little trouble to her employers and is capable at her job. There wasn’t anything that particularly stood out about Kitty, she was mostly seemingly good-natured. Nonetheless she was a likable character who showed much strength beyond what she seemed to be capable of.The plot was a little crazy, everything seemed very plausible from the beginning from when Will disappeared then Kitty seizes an opportunity to go London to find him, her stuff is stolen and subsequently has little money to survive and so on. But then Kitty gets accused of arson and theft and gets sent to prison, I’m sorry but WHAT. Then she gets sentenced and sent away to Australia and of course before the ship sets sail, SHE FINDS WILL ON THE SAME SHIP. What a coincidence! I do not get how Kitty, a simple milkmaid, can become a criminal so fast. I don’t know how possible is that and how much I can actually believe it because this is historical fiction, you can’t spin it like a fantasy novel or an adventure novel. You have to make the roots realistic and the events possible as well. If you told me that Kitty fell from grace and resorted to stealing and thievery to feed herself or others and ended up that way, I would believe it. But this is a little absurd and after a while, this just amused me.While I was reading The Disgrace of Kitty Grey, I never got the actual feeling I was reading a historical fiction novel. I’m not sure if it’s because I expected something much more olden in the language to something resembling a little of a classic? Or in the events, it felt like a poorly executed historical fiction book despite the research the author did because some of the scenarios she presented were definitely based on real places. She might have wanted to present these issues in a more serious tone and highlight how serious some of the situations were but the way it was executed, I just couldn’t take it seriously because it seemed pretty ridiculous to me. 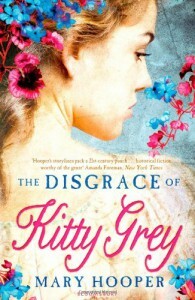 The character and scenarios simply didn’t fit at all.I won’t deny that I enjoyed reading The Disgrace of Kitty Grey despite the amusing plot turn, I found it rather humourous because of that area but if you’re looking for a good historical fiction novel for a YA audience, clearly The Disgrace of Kitty Grey is not where you should be heading. Sorry to say, I just can’t recommend this book. If it had been rewritten with a different character and scenario, I might have been able to take it more seriously and enjoyed it more.